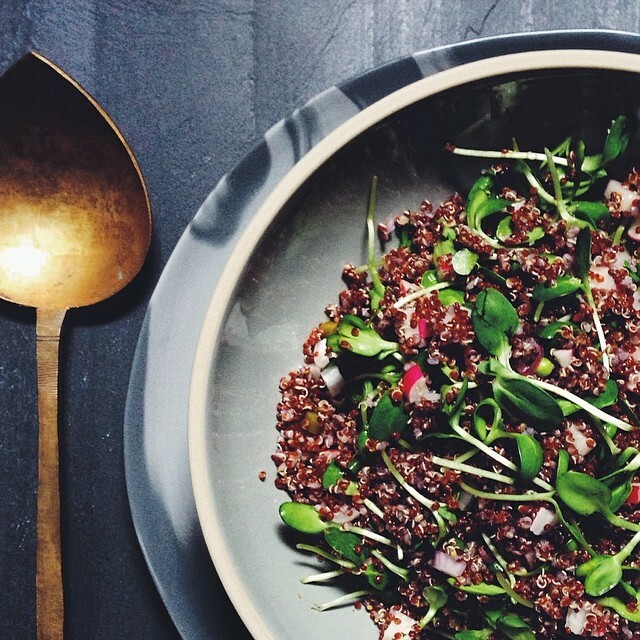 I was craving some grains after I saw the farro salad @localhaven - made a version with red quinoa, radishes, sunflower microgreens & pickled garlic scape. This recipe was featured in our Vegan Weekly Meal Plan Newsletter - Looking for dinner ideas? Sign up here!